Innovation is often cited as one of the most important qualities any business can have. It is prized by large corporations and is a skill highly encouraged in their staff. Failure to innovate is seen as the number two reason behind business failure and it is part of the regular discourse. However, it is not often defined. Innovation is often seen as the preserve of technological companies, laboratories or entrepreneurs in their haunts designing the "next big thing". The fact is that innovation can be applied to any organisation, irrespective of it's size or function. It can be described simply as the adoption of processes and tools that create additional value for customers. 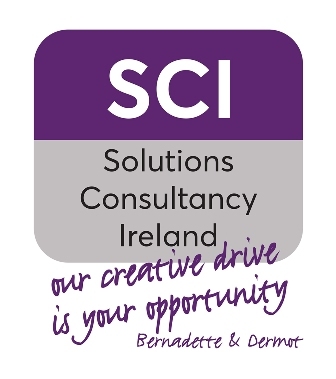 Solutions Consultancy Ireland can help any organisation build an innovative mindset which will help that organisation to navigate the current changing market conditions, keeping them relevant, retaining existing customers and attracting new ones, giving them the skills to explore and grow while breaking the habitual behaviour that often stifles new opportunities. Either working directly with organisations through workshops or mentoring or by providing access to cutting edge online programmes through our partner organisation, Kennesaw State University, or through a blended learning environment, SCI can give businesses the edge they need to succeed and flourish through the application of this powerful tool. Master Innovation and gain a digital badge to prove it with Kennesaw State University. Please contact us for details.